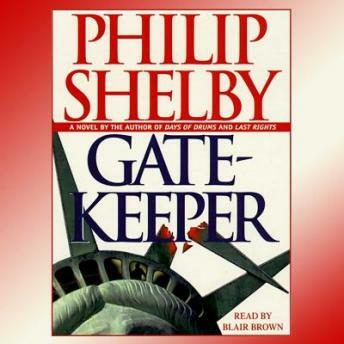 Gatekeeper features a labyrinthine setting -- from the chambers of the American embassy in Paris to the stoops and back alleys of New York City -- stocked with characters whose ambition, cunning, and technological sophistication are intolerant of any threat to their conspiratorial will to power. Hollis Freemont has arrived in Paris to begin her job at the American consulate. Her return to Paris forces her to revisit tragedy: the assassination of her parents by a sniper's bullets fifteen years earlier. Hollis, a beautiful young woman, soon attracts the notice of Paul McGann, deputy chief of mission, whose ardent attention to Hollis is matched by his violent temper. Hollis's involvement with McGann leads her into the anals of the clandestine paragovernmental alliances colluding to create a new world order at the expense of certain high-level officials and unfortunate individuals, such as Hollis herself, who stray into the sights of a hired assassin -- the Handyman. As she struggles against all odds to elude the Handyman and his colleagues, it becomes evident that she can trust no one, not even those whose confidences she holds most dear. From the opening scene in an assassin's hideout to the stomach-churning climax at the Statue of Liberty, Gatekeeper is electrifying.